Have you ever thought about what you could do, if you really decided to? I'm not merely talking about what your skills, education and talents are capable of. I'm talking about what is really possible for you. There is a very real possibility that you can do virtually anything. Not alone, not without new information, but certainly within your ultimate grasp. Think for a moment. 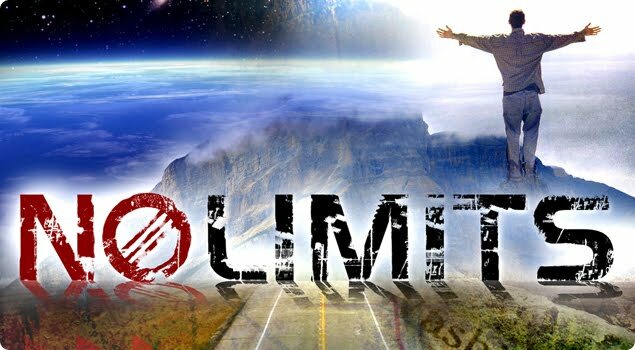 What would you like to do if you are not limited by anything? What is the one thing you will like to achieve if you have all the money, connection, information etc needed at your disposal? Write that thing down. Can I tell you something? You can achieve whatever it is that you have written down! Yes, you can. You are not limited to the life you now live. It has been accepted by you as the best you can do at this moment. Any time you're ready to go beyond the limitations currently in your life, you are capable of doing that by choosing different thoughts. We each earn the income we do today because that is the amount we have limited ourselves to earn. We could easily earn 5, 10, 20 times more if we did not limit ourselves through the thoughts we maintain. Don't believe that's true? Surely you know people who earn much more than you who don't have your education, your skills, or your intelligence. So why do they earn more than you? I love the story of George Dantzig that Cynthia Kersey wrote about in her book “Unstoppable”. As a college student, George studied very hard and always late into the night. So late that he overslept one morning, arriving 20 minutes late for class. He quickly copied the two math problems on the board, assuming they were the homework assignment. It took him several days to work through the two problems, but finally he had a breakthrough and dropped the homework on the professor's desk the next day. Later, on a Sunday morning, George was awakened at 6 a.m. by his excited professor. Since George was late for class, he hadn't heard the professor announce that the two unsolvable equations on the board were mathematical mind teasers that even Einstein hadn't been able to answer. But George Dantzig, working without any thoughts of limitation, had solved not one, but two problems that had stumped mathematicians for thousands of years. Simply put, George solved the problems because he didn't know he couldn't. Where some of us have seen only limitations of the world or ourselves, others have gone on, with courage and imagination, exploring new worlds, achieving great dreams, ignoring warnings that “it” can’t be done. The evidence of the unstoppable human spirit is everywhere. We have dammed rivers, dug canals, cured diseases, invented thousands of labor-saving machines, and forged roads across towering mountains. We have created global networks of communication and travel. We have touched the moon. Bob Proctor tells us to "keep reminding yourself that you have tremendous reservoirs of potential within you, and therefore you are quite capable of doing anything you set your mind to. All you must do is figure out how you can do it, not whether or not you can. And once you have made your mind up to do it, it's amazing how your mind begins to figure out how." Isn’t that worth thinking about?